In a world where cinema means big blockbusters and opening weekends, every now and again we are treated to a rare surprise. 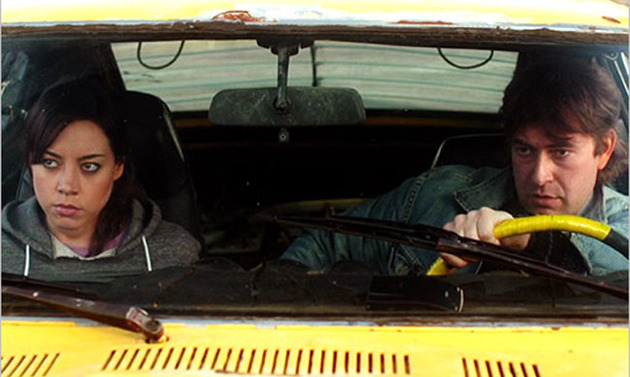 Safety Not Guaranteed is easily the most refreshing tale to unfold on the big screen this year. While we have been entertained by the spectacle that was The Avengers, disappointed with the un-Amazing Spider-Man and sat in awe at the scope of The Dark Knight Rises, there hasn’t been a film to really hit me where it matters. Sure I’ve laughed at the sight of Hulk smashing Loki into the ground, and welcomed Sam Mendes’ Bond movie about (surprise) Bond. And yet with a host of good films this year, none have stayed with me like Safety Not Guaranteed. The reporter with the idea, Jeff Schwensen (New Girl’s, Jake M. Johnson) gets permission to investigate and takes two interns, Darius (Plaza) and Arnau (Karan Soni) along. Upon arrival Jeff locates Kenneth (played by mumblecore mastermind and star of The League, Mark Duplass), the man responsible for the ad, but screws up his initial attempts to befriend him. As such Darius is tasked with going undercover and engaging with the clearly paranoid Kenneth, resulting in an unexpected romantic bond between the pair. Meanwhile the real reason Jeff has came on the trip is disclosed; disenchanted with his city life he wants to relive his youth by tracking down his high school sweetheart, or failing that to at least live viscerally by getting the shy and introverted Arnau laid. The story at times feels predictable, but then you remind yourself that this is a movie about time travel, and a man who truly believes he can achieve it. It’s a film that takes us on one journey before reminding us in the climax of the possibility of many more. First time feature film director Colin Trevorrow does an excellent job drawing us into the strange developing relationship of Darius and Kenneth, while integrating sub plots that though not intrinsic to the core story, are enjoyable due to the very likeable Johnson and Soni, and still contribute to the films themes of alienation and regret. Plaza is playing a familiar role to the apathetic April Ludgate in Parks & Recreation, but lets not forget, not every actress can deliver that quirky and aloof girl next door. Like Natalie Portman in Garden State, Plaza is endearing as Darius. She is matched only by Duplass, who brings a pensiveness to the highly strung Kenneth that could easily have been a flat caricature in the hands of another. Johnson is the welcome comic relief here acting as a misguided mentor to both Plaza and Soni. We’ve seen in recent years the resurgence of the indie movie with Little Miss Sunshine, Winter’s Bone, and The Kids Are All Right all receiving honorable nominations and wins come awards time. 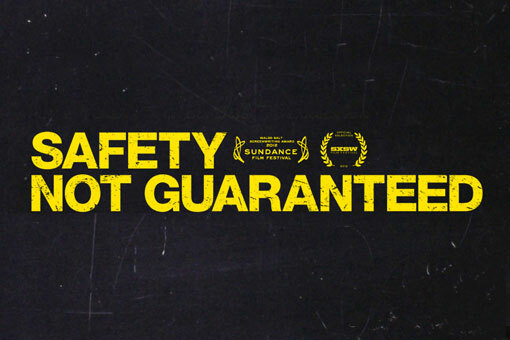 Due to its January US release it’s easy to picture Safety Not Guaranteed getting passed over. It’s a shame, especially when looking over the last years film releases—Safety Not Guaranteed has more genuine heartfelt moments than any other. If you’re a cynic this probably isn’t for you, but if you’re looking for an alternative to heroes in capes, then Plaza, Duplass and company come highly recommended.